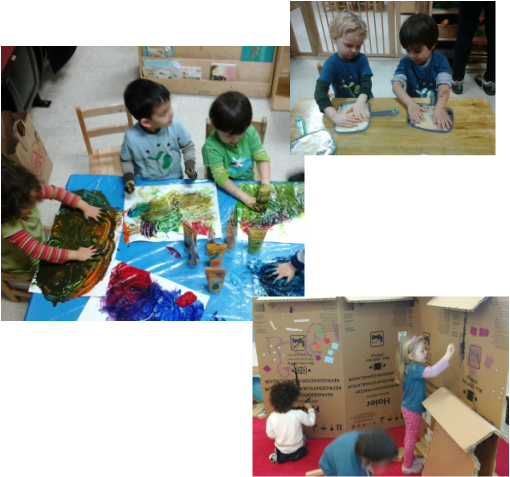 Our work with the children is inspired by the Reggio Emilia approach to Early Childhood Education. We utilize this approach to develop an “emergent curriculum.” An emergent curriculum is developed by observing each child individually as well as children’s work in groups and developing activities and classroom areas based on the explorations, interests and developmental needs of each child and group of children. We work to help children build strong relationships while expressing themselves and their ideas. We believe that children learn best through hands-on experiences where they can get their hands messy in the process!